- We have a wide range of shapes and sizes in stock, not all are not featured on our website. 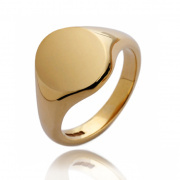 - Our signet rings are available in a range of different precious metals: white, yellow or rose gold; palladium or platinum. 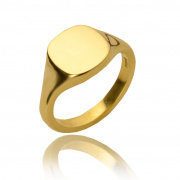 - All our signet rings are solid and beautifully made, allowing the option to either surface or seal engrave.